It's Spring and it's wedding season, you may got a lot of wedding invitations! Dressing appropriately for a spring wedding requires you to consider the formality of the event as well as the often-fluctuating spring temperatures. Strike the right balance and select a venue-appropriate look that keeps you comfortably cool on warm spring afternoons and sufficiently warm on crisp spring nights. 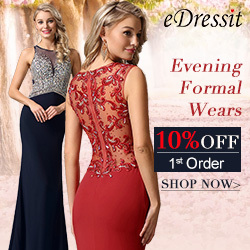 Both men and women can find suitable spring wedding attire that leaves them feeling comfortable, confident and celebratory. Several factors will dictate the type of outfit you should wear to a spring wedding. Check out the wedding invitation or couple's wedding website for these details. An earlier event time calls for more casual attire. Casual spring attire is more appropriate for an afternoon wedding than an evening affair. The wedding location can also give you insight into the event's formality. For example, guests can dress more casually for an afternoon wedding on the beach than a country club wedding in the evening. Check the invitation for a dress code. Black-tie required or optional, for example, calls for men to wear a tuxedo and women to wear floor-length or cocktail dresses. The dress code can clue you in to the formality of the occasion. 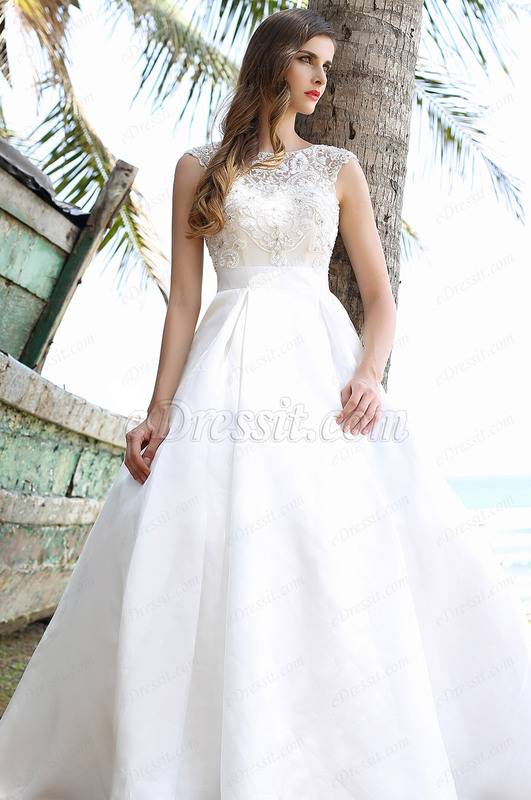 Women have an array of choices when dressing for spring weddings. At black-tie and formal occasions, choose floor-length gowns or cocktail dresses that hit around the knees. Embrace color for spring weddings, choosing hues of aqua, powder pink or seafoam green. Showcasing these colors is most appropriate for daytime spring weddings, as evening affairs are often decidedly more formal. For these occasions, go with a deep lavender, navy or wine-colored dress. Women attending spring weddings should bring a layer to prepare for potentially changing temperatures. Drape a soft pashmina over the shoulders after the sun sets. Simple cardigans also pair well with spring dresses and deliver the extra warmth you need on crisp evenings.